Shipping: $3.28 for the first item and $0.28 for each additional item. US only. 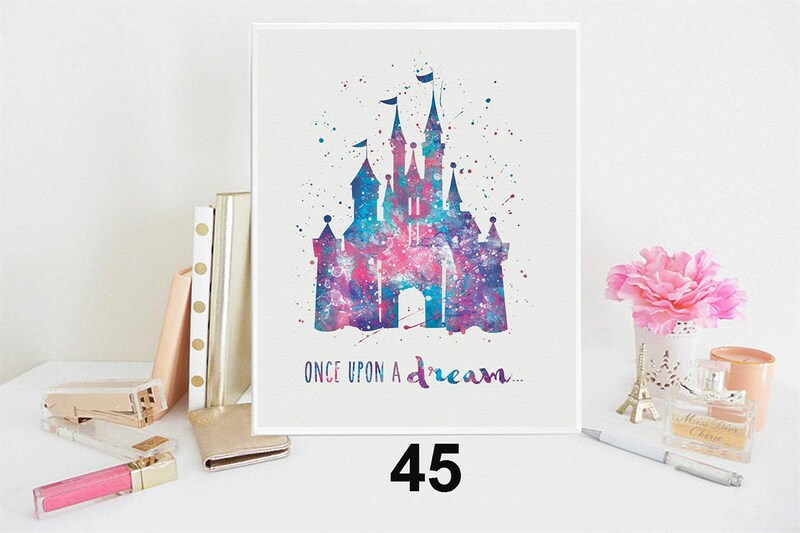 Dreamy new inspirational & favorite artworks to create your own enchanted kingdom. 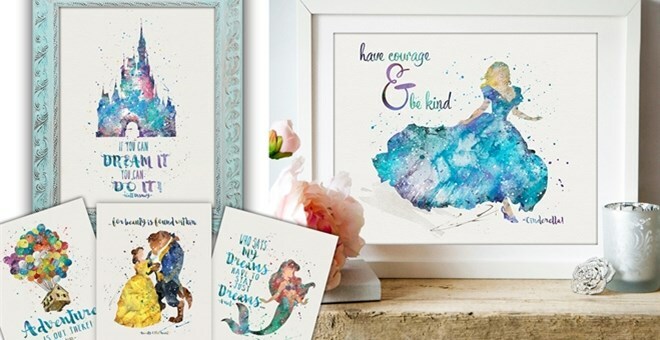 Beloved characters with uplifting quotes to inspire your lovelies in so many positive ways! 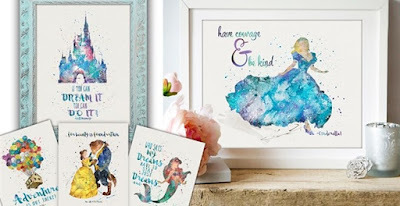 Our collection of character inspired art and typography is done in a beauty full impressionistic & splatter watercolor style. This is a hand made item from an artist who works hard to bring unique artworks to your dwellings. Please expect and know they are intended to look perfectly imperfect which add to the uniqueness & charms. The frames and other props are not included. This is a handmade item in a rustic and impressionistic style and intended to look as such. Each one is made to your order. Colors may vary from what you see on you online devices vs. full color high res. 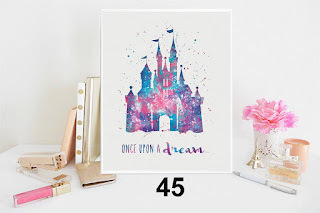 art prints. The prints retain a look and feel similar to the originals. Our prints are professionally printed on thick, specialty archival papers with rich & radiant archival pigments to retain the character and clarity of the original artworks. We are confident you will love the look and feel of these high quality prints! Please note: The art image size is 8x10. The paper size is 8.5 x 11 for ease when using a matting and larger frame. The white border can easily be measured & trimmed to 8x10 when using a standard 8x10 frame of your choice.